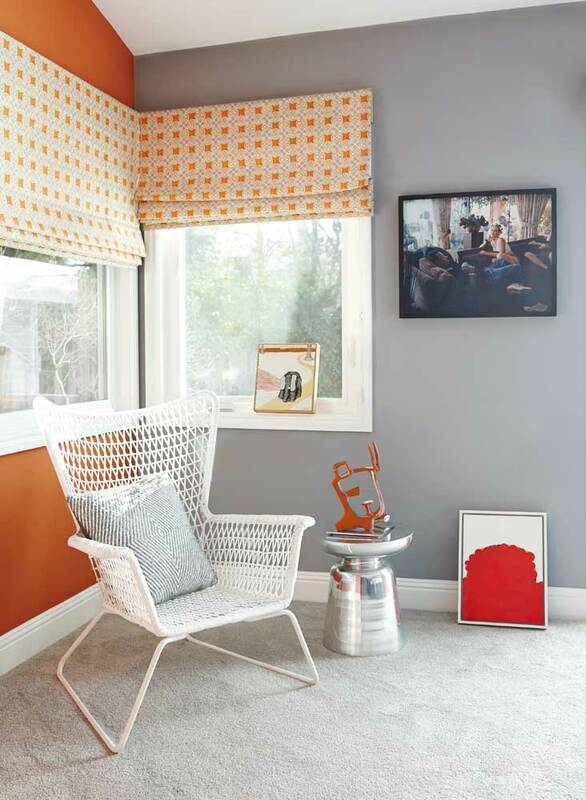 A 1970s modern home in the East Bay provided a welcome fit for a small family’s growing contemporary art collection. This private residence is a great example of how a young family can blend a budding art collection with family heirlooms, modernist furnishings, and beloved objects creating a space that is comfortable, inviting and artful. Over the past decade I helped to develop this collection, which features an eclectic mix of emerging and mid-career artists. The breakfast nook provided the perfect space in which to hang a large collection of small paintings, works on paper, and photography by mostly California artists, creating a wonderfully bright and tongue-in-cheek space.